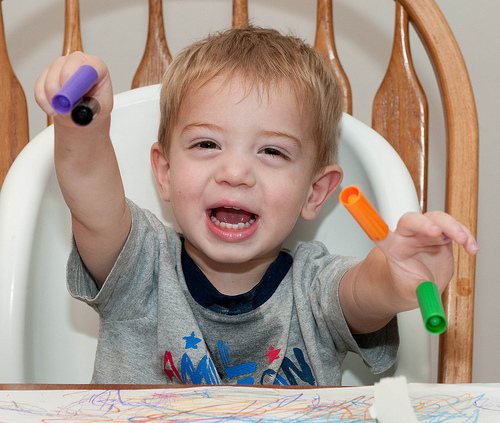 While coloring with markers, Patrick has realized that he can put the caps on his fingers. He’s pretty good at putting one cap on one finger, but has trouble doing more than one. I helped him put several caps on his fingers, and he thought it was hilarious!